I am an Aeronautical Engineer, presently pursuing Ph.D in Mechanical Engineering , performing research on 3D Printing of smart materials at University of Auckland . I am interested in sharing my knowledge and support students to achieve their academic goals, with dedication and commitment with impeccable teaching methods. I have taught Maths, Physics , Chemistry for Primary and Secondary level students for 4 years during my graduation , I have taught several engineering subjects such as, Engineering Mathematics, Engineering Physics , Engineering Chemistry, Composite Materials , Mechanics of Solids, Mechanics of fluids, Engineering Drawing , Aerodynamics, Aircraft structures in various Engineering colleges in India. Play way teaching methods for Primary level students , one to one concept oriented teaching for technical subjects, online support for problem solving, in detailed explanation with more day to day examples. Reply from: Eshwar Reddy: Thanks for your feedback Rodrigo. 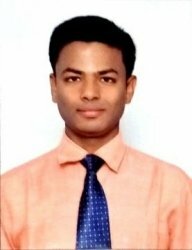 Eshwar ReddyFrom Katerina (5/5): Eshwar has been tutoring my daughter for a month and she has found him to be very professional, and has a simple way of teaching that keeps my daughter interested in her tutoring even during 4 hour sessions. Reply from: Eshwar Reddy: Thankyou Katerina for your feedback. Eshwar ReddyFrom Emele (5/5): Woud highly recomend Eshwar! Reply from: Eshwar Reddy: Thanks for your Feedback Emele.